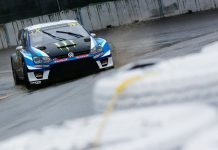 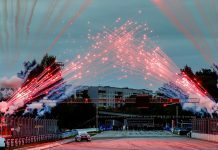 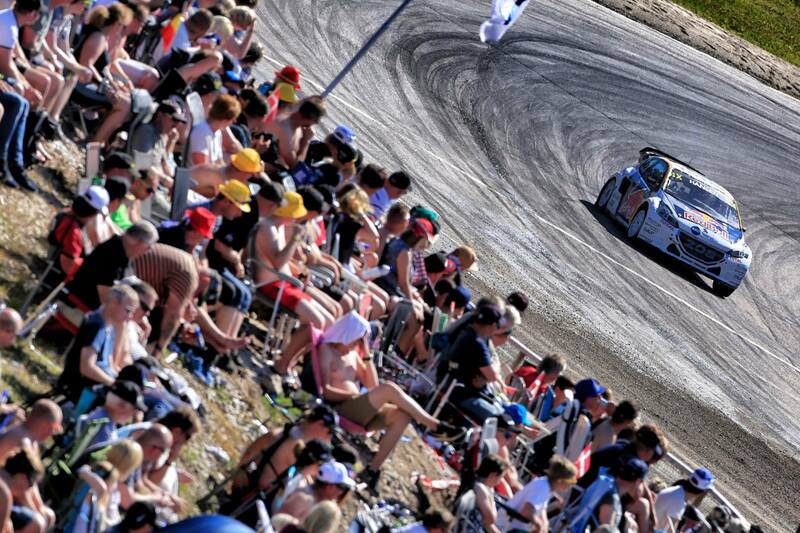 Back to back wins for PSRX Volkswagen Sweden driver Johan Kristoffersson after World RX of Sweden victory on Sunday. 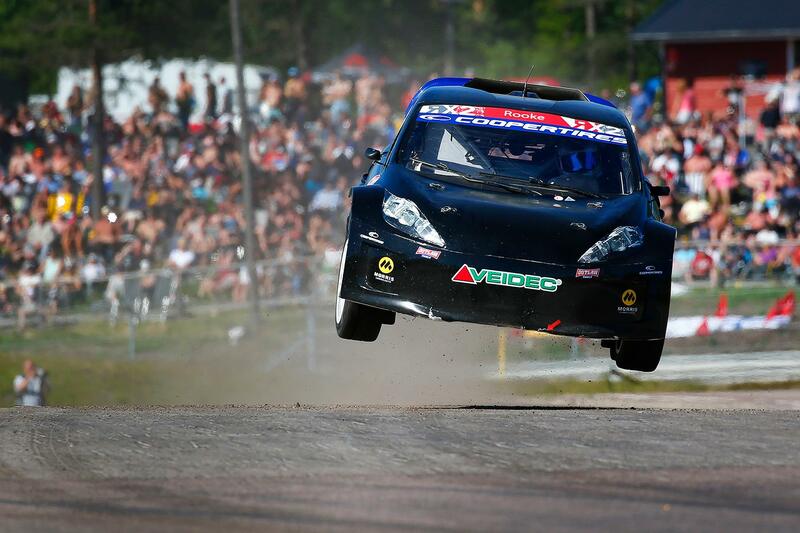 He came to this round in high spirits after winning World RX of Norway in the previous round. 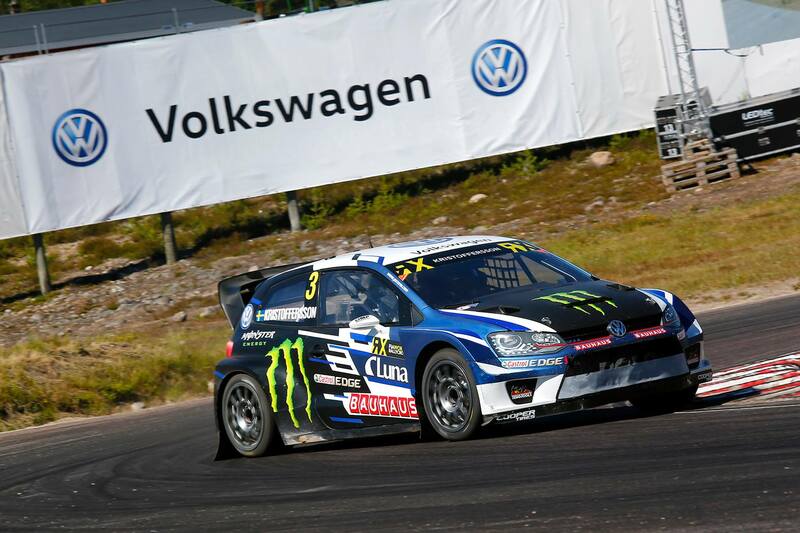 And in the championship standings, the VW Polo driver is comfortably in lead with 181 points. 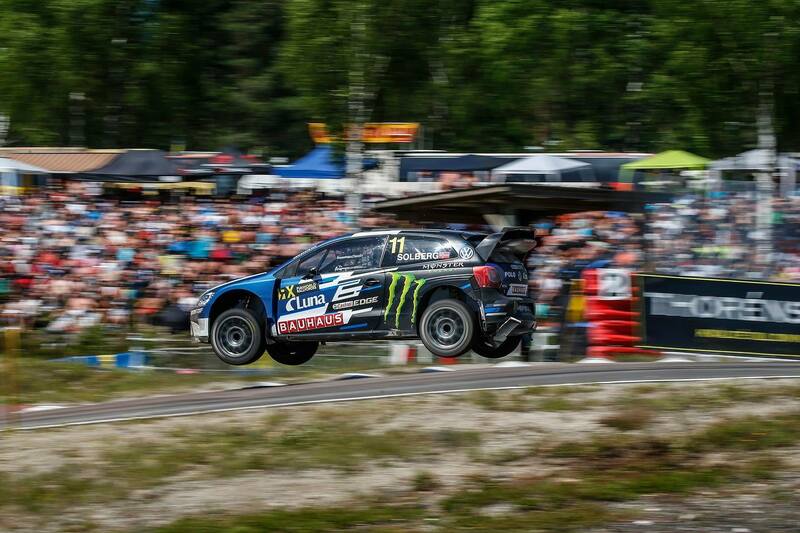 Teammate Petter Solberg is now second with 150 points despiting finishing 7th today. 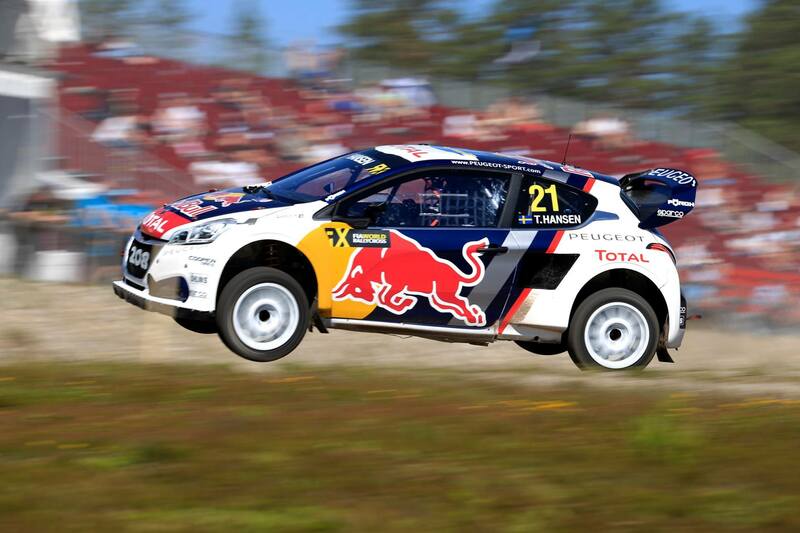 EKS frontman Mattias Ekstrom was missing in action as he had to race at DTM where he now leads the championship. 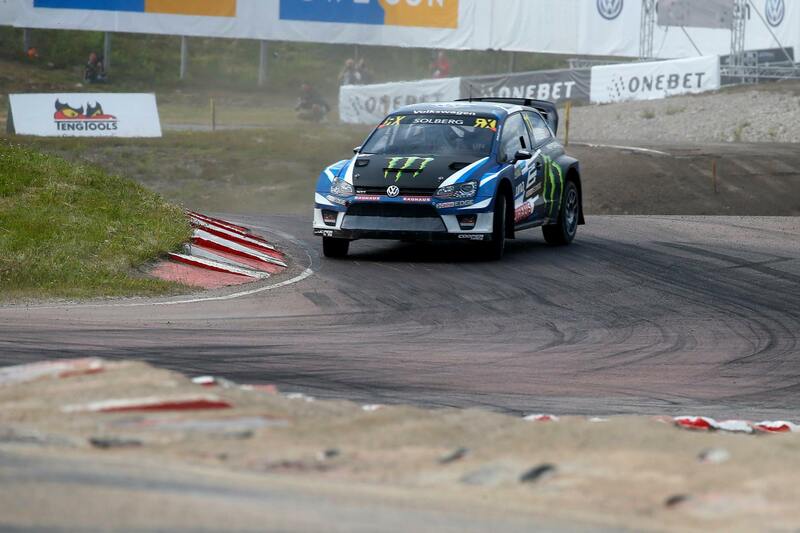 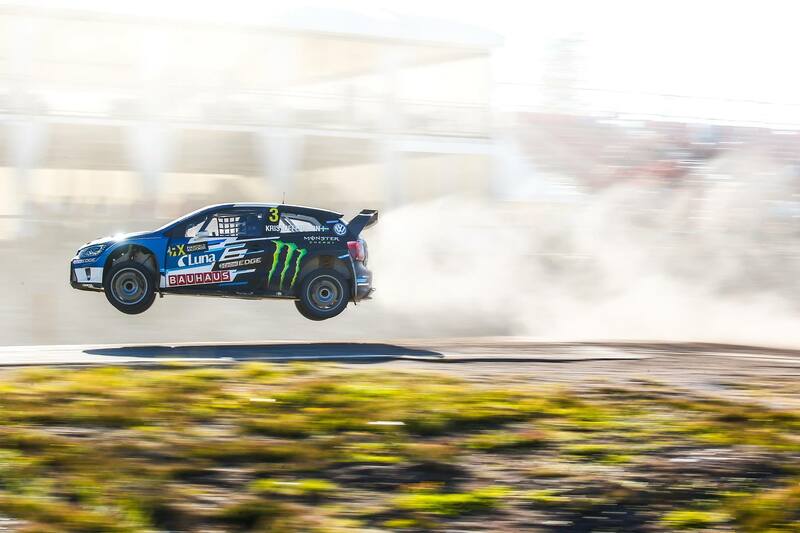 By missing this round, he dropped to third place in the World RX standings. 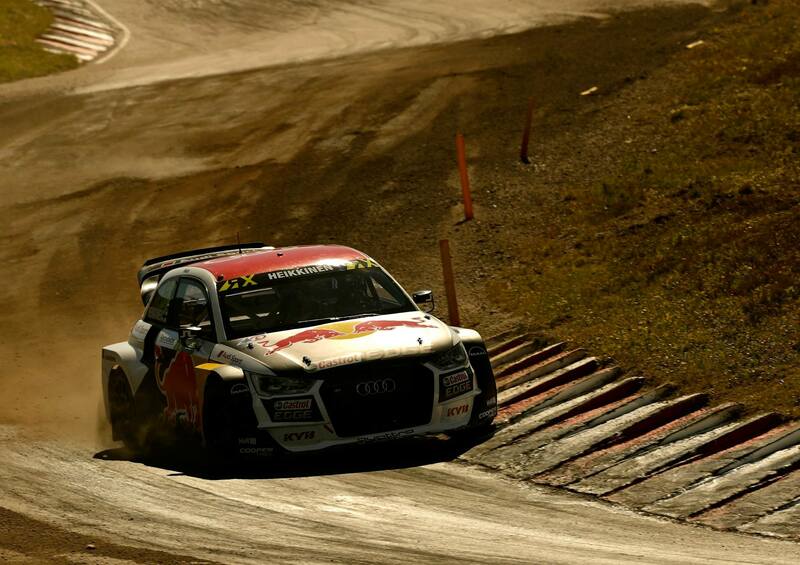 If his plan works out well, he could manage to stay in the top three in both championships where he races for Audi. 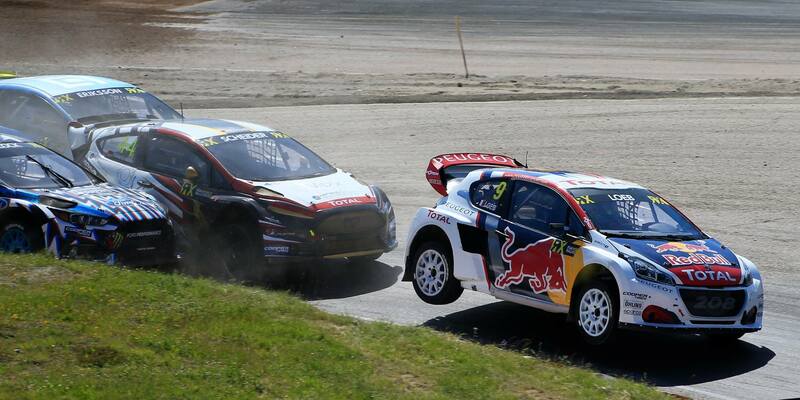 As for EKS, the team did not make it to the semi-finals for the first time in 792 days. 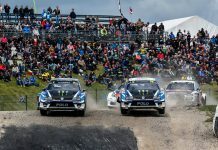 Hooligan driver Andreas Bakkerud finished second in his Ford Focus RS RX while WRC legend Sebastien Loeb crossed the finish line in third driving a Team Hansen Peugeot 208 WRX. 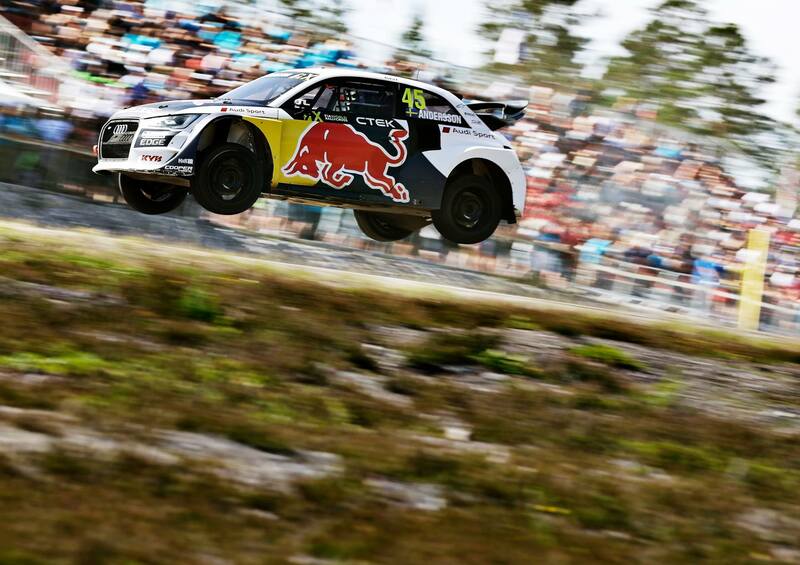 Timmy Hansen finished behind his teammate in fourth leading Kevin Eriksson and Janis Baumanis who had his best result yet this year. 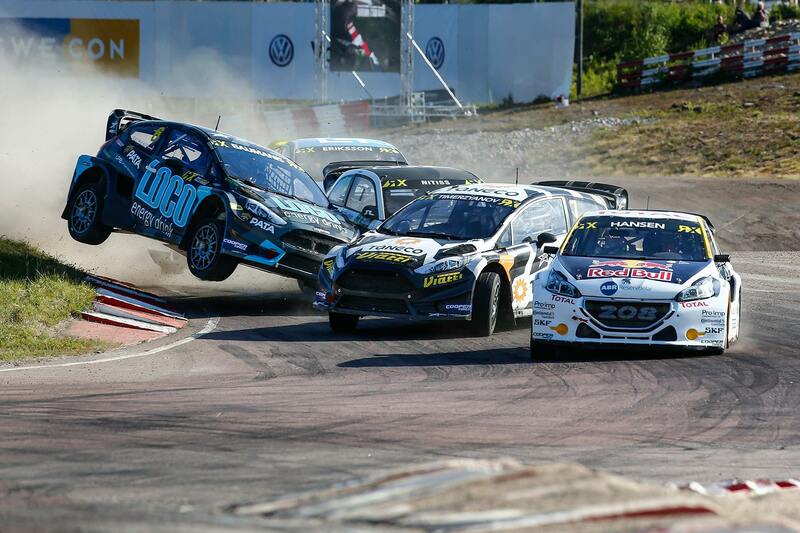 Anton Marklund driving a VW Polo won in the Euro RX, now in the third round. 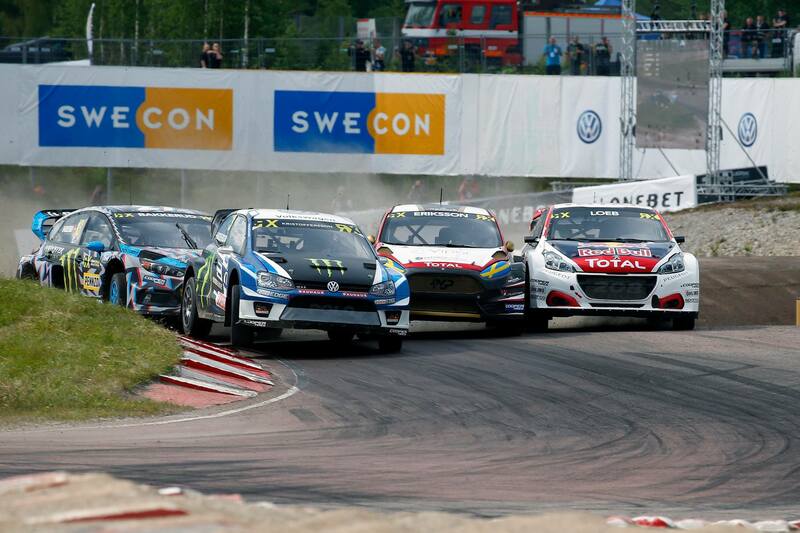 Second on this podium was Peter Hedstrom finishing ahead of WTCC veteran Rene Muennich. 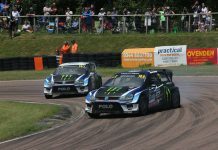 Elsewhere, Dan Rooke claimed his first win in the RX2 International Series. 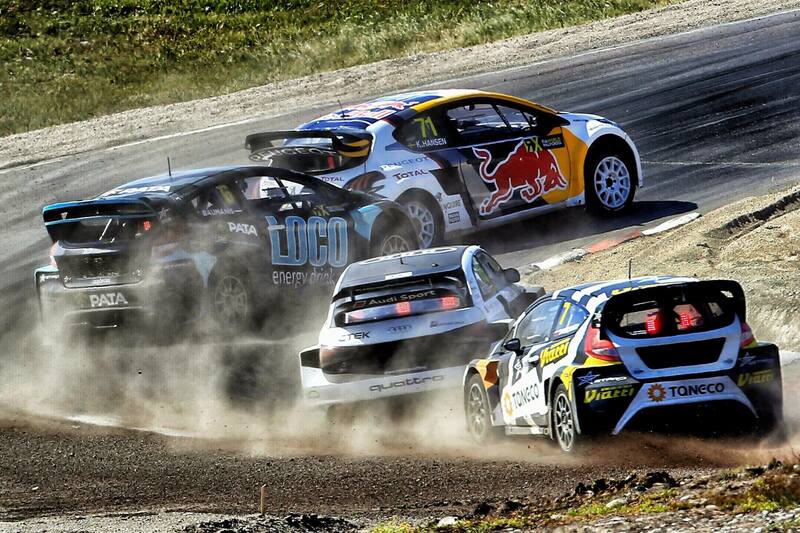 The next round heads over to Canada in 31 days. 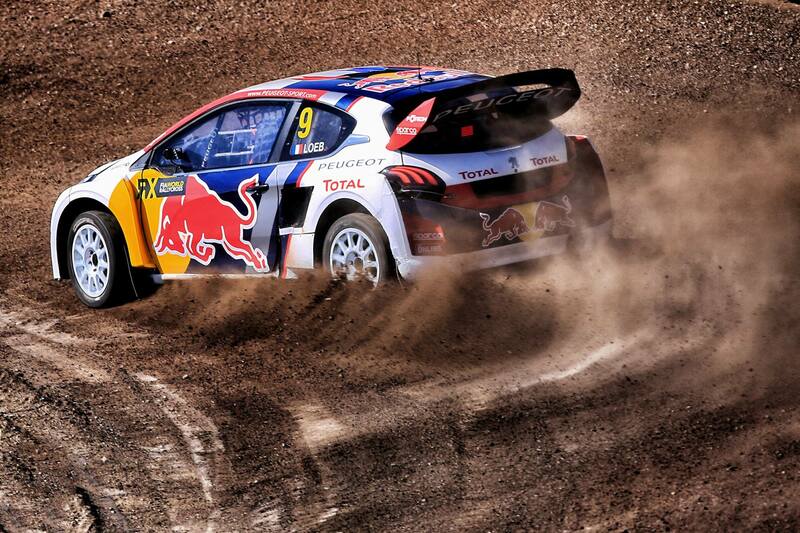 Before that, Loeb will travel to Russia for the Silk Way rally which he never misses.